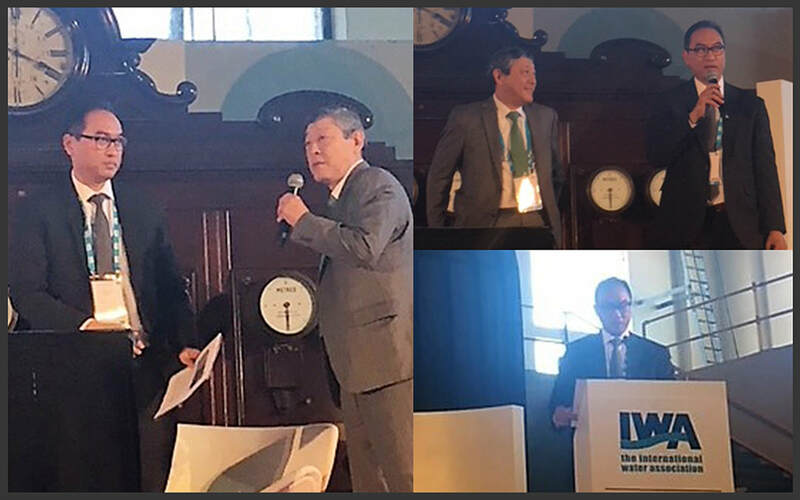 Manila Water Foundation Chairman Ferdinand dela Cruz and International Finance Corporation Director of Inclusive Business Toshiya Masuoka officially launched the Urban Sanitation Socio-economic study during the 2017 International Water Association Water and Development Congress and Exhibition recently held in Buenos Aires, Argentina. Manila Water Foundation (MWF) and the International Finance Corporation (IFC) officially launched the Urban Sanitation Socio-economic study that aims to develop pro-poor sanitation solutions and healthy sanitation practices in the country. The study was officially presented to the public during the 2017 International Water Association (IWA) Water and Development Congress & Exhibition recently held in Buenos Aires, Argentina where 2,500 individuals from various countries around the globe participated. During the congress, MWF and IFC presented the results of their collaboration which they spearheaded in 2015 and completed earlier in January 2017. Based on the joint study, which was conducted in select urban and peri-urban communities in Metro Manila and other cities in the Philippines, 9 percent of the respondents without private toilets still practice open defecation and 3 percent use chamber pots as an alternative solution, both of which pose negative health and environmental risks. In addition to sharing details about their sanitation conditions, the study also presented psycho-social consequences of not having private toilets such as being the subject of gossip, having to get in line just to have access, and facing safety issues. More importantly, results revealed that although most of the respondents showed interest in improving their sanitation conditions, they are often barred to attain such due to lack of land ownership, limited space, and financial incapacities. Insights to these findings were echoed by IFC Director of Inclusive Business Toshiya Masuoka. “It is important that multiple stakeholders work together to create solutions tailored to the circumstances of low-income households in the Philippines. A particular attention should be paid to the need to strike a balance between what households value most and what barriers they face in financing and constructing improved facilities,” he said. Masuoka along with Manila Water Foundation Chairman and Manila Water Company President and CEO Ferdinand Dela Cruz co-presented the study in the conference which was held last November 14, 2017. According to Dela Cruz, the study, which emphasizes the relationship among the social, technical, financial conditions of targeted communities in determining appropriate sanitation solutions, will have a major impact on the lives of grassroots-level communities in the Philippines. The study aimed to further improve MWF’s local sanitation program, which has been one of the foundation’s main objectives since 2015. In the years to come, MWF plans to integrate the sanitation program to its community-based water projects that are anchored on participation to make the engagement more holistic.